For the curious, I'm trying out 150gr FMJs over 15.5, 16.0, 16.5 and 17.0 gr H110 - we'll see how it works out. Once I've established a decent standard load to use in the future for plinking with cheap FMJs, I'll be working on load development for 110gr V-max and 125gr SPs - with the possibility of 168 and 175gr SMKs just for fun.. If you haven’t found 300blktalk.com go check them out. They have scads of reloading info. Thanks to my cold calming down, I finally got to shoot these loads - all cycled perfectly and shot well. It seems to be an amazingly forgiving cartridge in terms of the loads. Last edited by AndyC on Thu Feb 01, 2018 12:19 pm, edited 1 time in total. Are you using dedicated 300 BLK brass or cut down 5.56? And does it make a difference? Im trying the same thing with lil' gun. Everyone seems to claim that it's hard on barrels due to an issue with some niche revolver, though the only person who actually tested that was the owner of the revolver shop. It seems like gossip to me. Does quickload give an astronomical great of explosion for Lil' Gun? 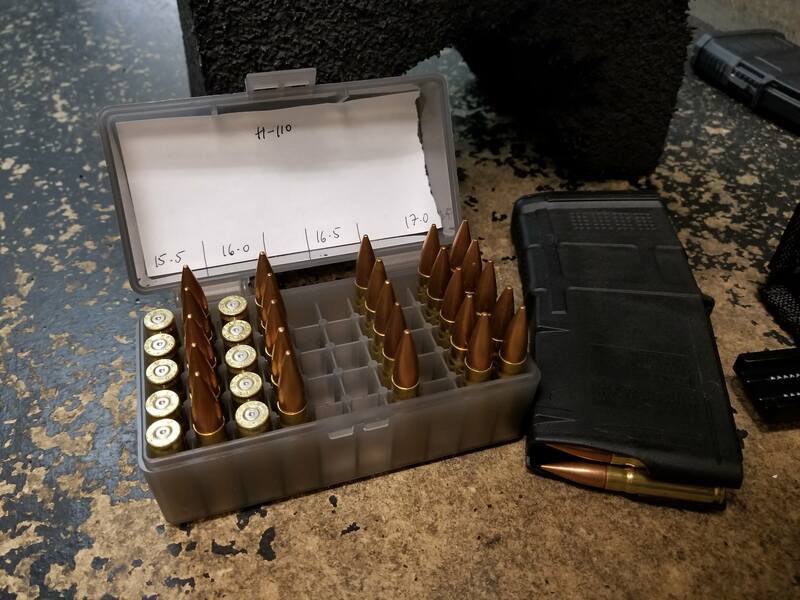 SQLGeek wrote: Are you using dedicated 300 BLK brass or cut down 5.56? And does it make a difference? 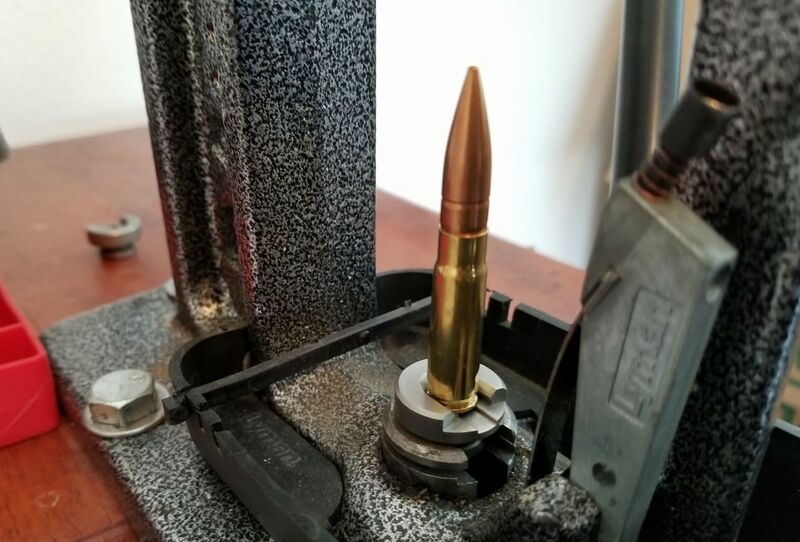 This is my first run-through of .300 loads ever, so I'm no expert - but I imagine there won't be a difference as the 5.56 is the .300's parent case, after all. Awesome and good luck. I have this stripped receiver sitting here that needs to be built and lately I've been wanting a .300 BLK pistol. I can't say I have a rational reason as to why but I figure I better get reloading first before putting it together. I blame early onset BRD. I have about 800 fully prepped .300 blk cases made up from mixed military range brass. It would've been cheaper just to buy them counting my time, but i am now certain than I can feed my "soon to be" rifle unless they quit making .223 cases or .308 bullets. I'll share my data as well, but will likely be 2-3 months. SQLGeek wrote: Awesome and good luck. I have this stripped receiver sitting here that needs to be built and lately I've been wanting a .300 BLK pistol. I can't say I have a rational reason as to why but I figure I better get reloading first before putting it together. I blame early onset BRD. I know exactly what you mean - same here!